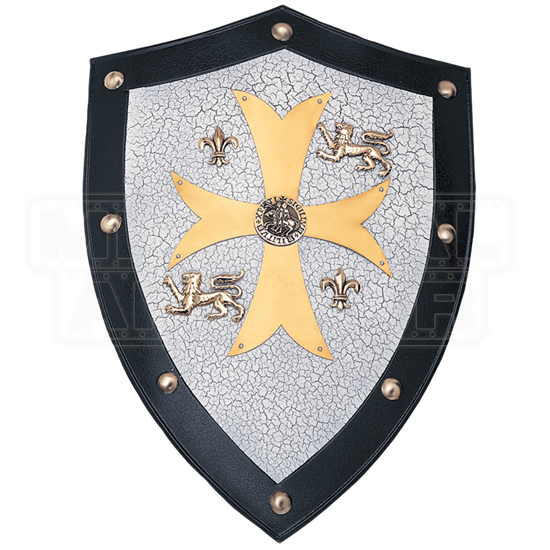 This beautifully decorated Templar shield is fabricated in steel and features a variety of bronzed-steel embossing and baked-enamel finishes. They are equipped with chain hangers and brackets for attaching one or two swords to the back of the shield. 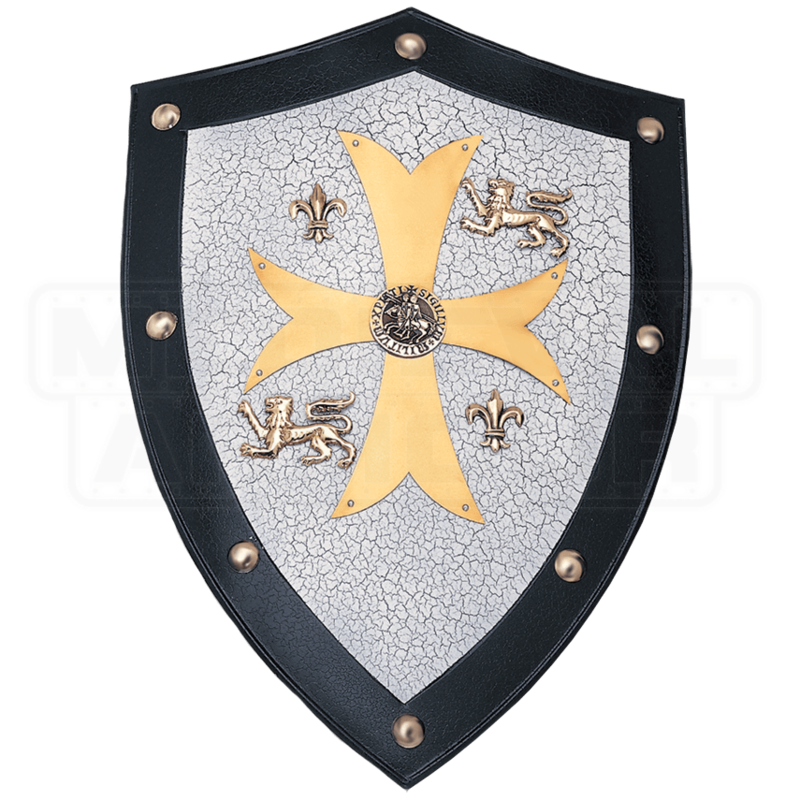 The Templar shield measures 25 inches in height, 17-3/4 inches wide, and weighs approximately 4 pounds 13 ounces.